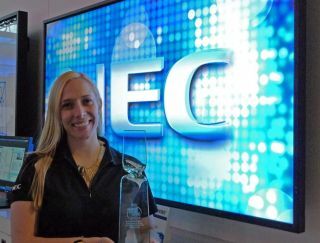 The 2014 Rental & Staging Systems/InfoComm Product Awards were announced and presented at the InfoComm show in Las Vegas on June 16th, recognizing the most innovative products released last year. The past year was a particularly fertile one for the staging market, and the Rental & Staging New Product Award competition reflected that health, as the crop of entries set records for the most products entered. The program, administered by S&VC/Rental & Staging Systems magazine in conjunction with InfoComm, covers important applications from audio to high-lumen projection to video processing to the increasing use of digital signage for live events.